So yeah, I asked that too while I was reading Kaleidoscope Hearts. And sadly, it didn’t give me an enough answer to rate it higher than 2 stars. I’m not saying this is a horrible book. Not at all. 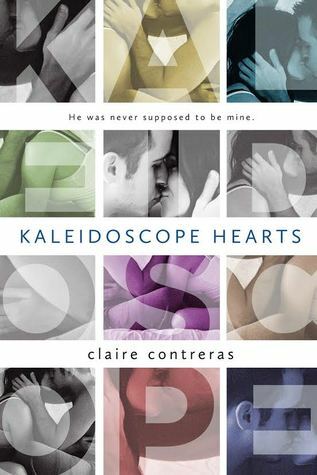 In fact, Claire Contreras’ writing is beautiful. This is my first from her and I can definitely say that it won’t be the last. She reminds me of Amy Harmon. All lyrical but on point. (I don’t even know if that makes sense) Anyway, what I’m saying is I like the way she writes. Period. But plot wise, uggggghhh. Honestly, I am expecting so much. But unfortunately its one of those ‘been there, read that‘ kind of book. I don’t rehash things that happened on my reviews and I won’t make an exception here. But here’s a gist: its one of those I-want-him-but-I’ll-repel-him kind of situation. And what happens next is pretty much predictable, of course the girl would just want him more. So the book turns into a NA CLASSIC: A GAME OF BOY-GIRL CHASING (annoying best friend included) It’s so frustrating. The girl is all talk but loses sense when the guy (who broke her heart so much in the past) comes in. I don’t blame her that much, since this kind of thing happens in real life too but dear god, IT’S ANNOYING. The things that she’s saying are so different from what she’s doing that I just…ugh, she’s too complicated to read. And painful. So. If you’re willing to read a classic NA, and okay with predictable endings then I recommend this. The writing is great too so there’s a lot of phrases to quote. Extra points for some. BUT. If your time is precious and you want your book intense, deep and meaningful.. then sorry people, nothing to see here! I’m sorry that the plot didn’t follow the great writing… it’s difficult when it’s like that. I didn’t know about the book vbut I think I’ll pass. thanks for the review. I will say this for the book… the cover is gorg. Have you read it, Becca? I want to read your review as well if ever I’ve been looking for Na that will give back my hope for the genre, sadly it’s not this one. Wow, this sounds really painful in the worst possible way! And the truth of the matter is, many NAs are actually like this, making it so hard for us now to find the ones that are really good :/ I’d only get the “I like him but repel him” thing if there’s actually a valid excuse for it (like maybe it’s a taboo relationship between a student or a teacher, or he’s royalty and she’s peasant or something) otherwise, it pisses me of as well.